When it comes to ethical scandals, the 21st century is already a golden age. It’s given us Ken Lay and Jeffrey Skilling of Enron, Bernie Ebbers of WorldCom, Dennis Kozlowski of Tyco, the Rigas family of Adelphia Communications, Mark Hurd of Hewlett-Packard, Lehman Brothers, former U.S. Senator John Edwards, Bernie Madoff, Martha Stewart and Lance Armstong, to name just a few. The question is not if or when another high-profile leader will be brought down by shortcomings in their own character. We’re better off asking two more relevant questions: Why are leaders so prone to ethical missteps? And what can organizations do about it before they are wrecked by their own scandal? You might be thinking, “That can’t happen to me, I have integrity and character.” Maybe you do. But those in your leadership pipeline might not. Even worse: you could easily be overlooking serious blind spots in your own character. 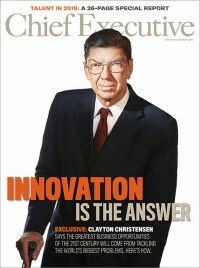 In studies recently published in The Leadership Quarterly, the Center for Creative Leadership researchers along with others examined the role that four character strengths– integrity, bravery, social intelligence, and perspective– played in the current performance of 191 top-level executives (e.g., CEO, CFO, presidents) and 246 middle-level managers. Direct reports of these leaders provided data on the levels of character in their leaders; boss and board members provided performance data. Integrity was the most important predictor of top-level executive performance. Bravery was a significant and close second. Social intelligence was the most important predictor of middle-level manager performance. Examining all four character strengths together, integrity had no impact on performance ratings of middle-level managers. And that could be precisely the reason why ethical failures in top leaders are so common. People are usually promoted because of their current performance. So, a middle-level manager in your company who is a top performer in his or her current role would tend to be promoted to more senior positions. Our research, however, shows that integrity has nothing to do with that middle-level manager’s current performance ratings. You might assume you are promoting people in your leadership pipeline who have integrity. But you don’t really know. Maybe they are always above board in their actions. Or maybe they are so effective because they don’t hesitate to cross ethical boundaries to get the job done. This much is clear: you don’t want to wait for a scandal to find out. So, as a senior executive, what can you do to ensure that your leadership pipeline is filled with people possessing integrity and character? They are, after all, the people who will help define your own leadership legacy. 1. Emphasize the importance of integrity. Our research shows that integrity is the most important character strength at the highest of executive positions. So, you should help middle-level managers understand the importance of integrity in their daily work and decision-making, particularly if they want to climb the organizational ladder. Maybe they aren’t judged by it too often now, but they will be as their careers develop. 2. Be a role model for integrity and character, at work and in life. In your position as a top leader in your organization, all eyes are on you for setting the example of what real leadership looks like. Model the character and integrity you wish others to have. If you care about it, show it. If you are not living a life of character and integrity in your organizational AND personal life, don’t be surprised when others in your organization don’t either. 3. Be open to feedback. Are you convinced that an ethical lapse can’t happen to you? Don’t be too sure. Our research also found that C-suite executives tend to overrate their own integrity in comparison to how their direct reports rate it. In other words, integrity is a blind-spot that many C-suite leaders have. Yes, your life is busy. But getting insight into those blind spots means making time for feedback. Be open to hearing about what you are doing well and what you can improve upon. Encourage your leadership team to develop that same kind of self-awareness. The impact will filter down through the ranks – increasing the chance that you and your organization won’t be caught by surprise as so many of this century’s most prominent leaders already have. William A. “Bill” Gentry, Ph.D. (Twitter: @Lead_Better), is a research scientist and enterprise associate at the Center for Creative Leadership, a global provider of executive education and leadership development. He has more than 40 published articles and 70 conference presentations on leadership and organizational psychology.